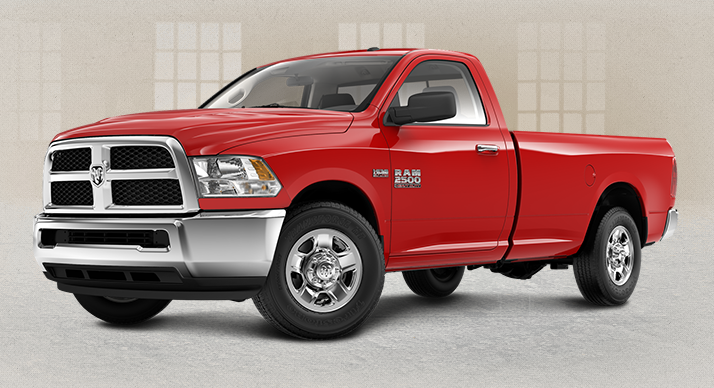 At Davis Dodge, our selection of Ram 2500 is sure to get you excited! 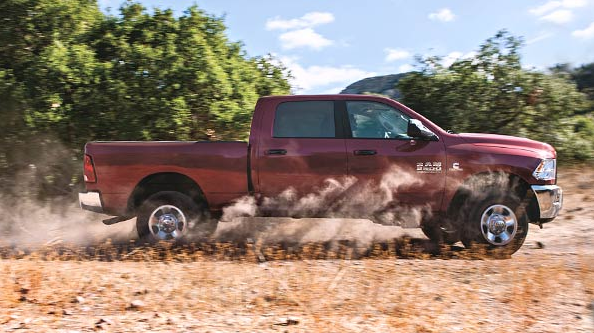 The 2016 Ram 2500 refuses to compromise on quality and capability. It is designed with Best-in-Class ¾-ton towing up to 17,980 lb (8,156 kg), offers Best-in-Class gas horsepower with the 6.4L HEMI® VVT V8, rides on heavy-duty front and rear suspensions and is part of Canada's longest-lasting heavy duty diesel pickups. Talk with one of our representatives today, and learn why vehicle buyers come from Calgary, Lethbridge and Claresholm for a shopping experience at Davis Dodge. 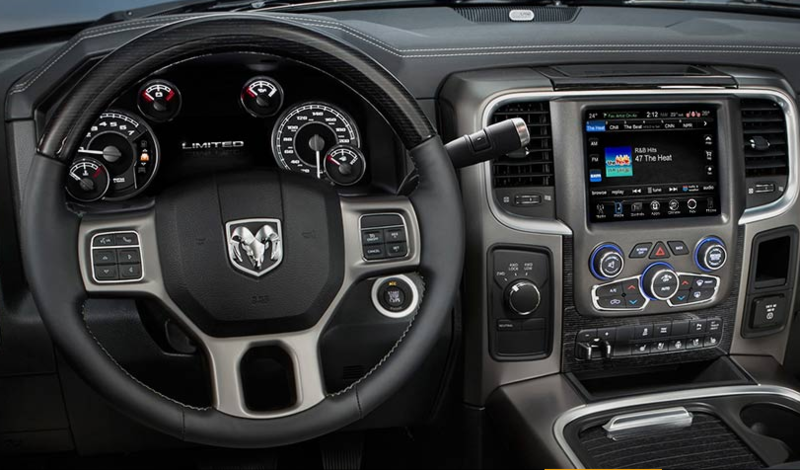 The interior of the Ram 2500 offers first-class refinement and luxury. Soft-touch surfaces cover an ergonomic layout, while available real wood accents, plush leather and premium trim create an interior that will see you over the long haul. The new Laramie Limited is the most luxurious model in the lineup with an all-black interior featuring premium leather-faced bucket seats, premium leather-wrapped steering wheel with real wood, luxury door trim panel with Argento wood accents and more. 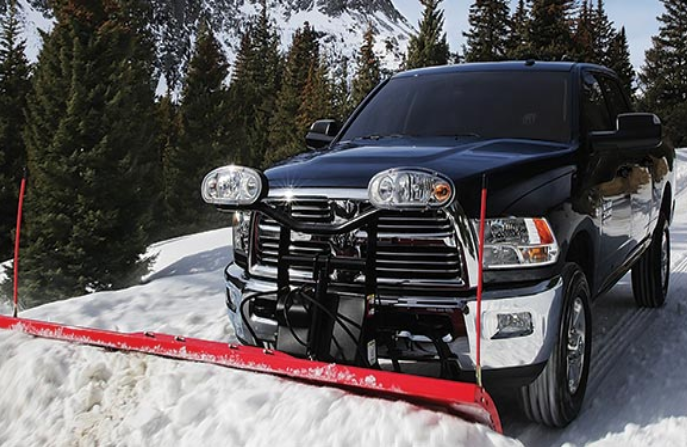 Whether you use this truck for work, play or both, the Ram 2500 covers it all. Choose from options like work-grade vinyl seats or premium leather, heated and ventilated front seats, bench or captain's chairs, and even heated rear seats. 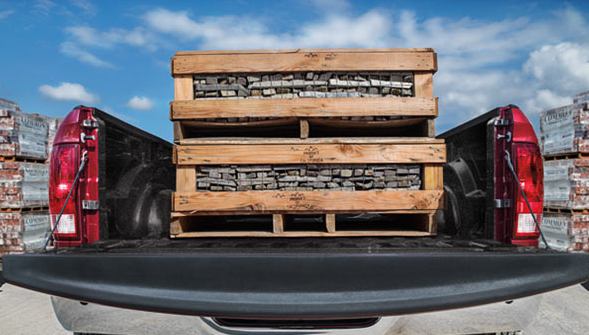 Fold-flat load floor system – Available on Crew Cab for an adaptable and fully flat cargo space. Extremely clear and bright LED lighting illuminates the cabin so you need never worry about having enough light. It comes standard on Laramie, Laramie Longhorn and Laramie Limited. Take comfort when the temperatures dip with the heated, leather-wrapped steering wheel. This feature comes standard on all models with leather-faced seating. With large and easy-to-use controls, this available feature allows both driver and passenger to set their own temperature. The system will automatically maintain each side individually for absolute comfort. Large enough for tools and even a laptop, the cavernous centre console is built for truck drivers. It features a multimedia hub with USB port and auxiliary input jack, and on models with bucket seats, a full-length floor console with 2-tier upper/lower clamshell storage, side map pocket and two 12-volt power outlets. Bold, forward-leaning grilles and aerodynamic lines bring form and function together for a look that's like no other on the heavy duty landscape. The big-rig design is enhanced by dynamic textures, broad shoulders and available chrome accents to set a benchmark all other trucks can only follow. The new Laramie Limited model adds even more bold styling with a chrome billet port grille, 20-inch chrome "RAM" badge on tailgate and grille, 20-inch polished forged aluminum wheels, body-colour front and rear bumpers, and more. A frame built with high-strength, 50,000 PSI steel with 8 separate cross-members underpins the unshakable dependability of the Ram 2500. It is further reinforced with an available factory-installed rear structural cross-member that's built ready for 5th-Wheel and Gooseneck hitches. Choose from 3 cabs and 2 box sizes. Both cargo boxes feature top rail covers for added durability. The available, Segment-Exclusive RamBox® Cargo Management System is an innovation that will change how you use your truck. This remotely lockable, weatherproof and illuminated storage is ideal for things like power tools, and saves the interior from becoming a locker space. It also includes a bed extender/divider for greater capability. The available tubular wheel-to-wheel side steps make access in and around the Ram 2500 efficient and ergonomic. The aerodynamic design also helps improve overall fuel efficiency. Standard on every Ram 2500 are high-performance quad halogen headlamps. Bifunctional projector headlamps with supplemental high beams and 15-element LED taillamps are available. For 2016, new available LED lamps now illuminate the cargo box, so you always have bright and dependable lighting for work and play. The Ram 2500 makes your life easier and more efficient with available power folding 7" x 11" trailer tow mirrors. They collapse with the touch of a button, so you only have an extended view when you need it. The Cummins® Turbo Diesel-powered Ram 2500 models feature a combined fuel filler neck system for fast, side-by-side fuel and Diesel Exhaust Fluid (DEF) refilling. The convenient capless design makes the task even faster. With 370 horsepower and up to 800 lb-ft of torque, confidence has always come standard. Reliability is also proven with this engine commonly exceeding 500,000 km. Operating costs stay low with Best-in-Class recommended oil change intervals of up to 24,000 km, and your satisfaction is backed by an unsurpassed 5-year/160,000-km diesel Powertrain Limited Warranty. Standard with the Cummins® Turbo Diesel, it uses an ultra-low first gear ratio for heavy hauling, greater control and enhanced fuel economy. It also features Power Take Off (PTO) access covers on both sides for greater upfit capability. 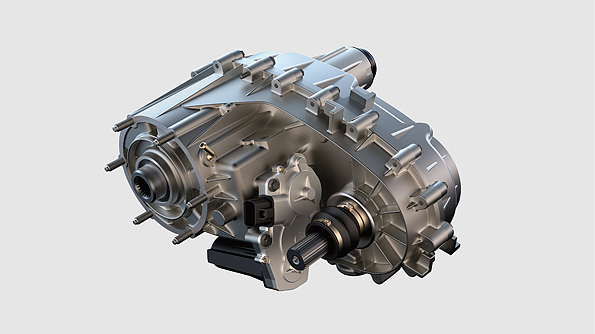 This available transmission gives you 800 lb-ft of torque and is electronically controlled with optimized gear ratios for outstanding performance and fuel economy. Get a Gross Vehicle Weight Rating (GVWR) of up to 10,000 lb (4,536 kg) when properly equipped. Payload also reaches an impressive capacity of up to 3,990 lb (1,810 kg). 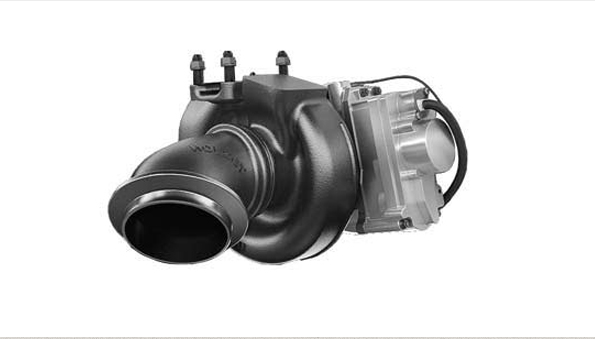 Standard on the Cummins® Turbo Diesel I-6, this Class-Exclusive feature enhances braking on downward slopes. The engine brake uses a variable nozzle on the turbo to maintain smooth braking while helping to provide vehicle stability and reduced wear on the disc brakes. All Ram 2500 models are available with an anti-spin differential to increase overall traction to the rear wheels when accelerating. The Cummins® Turbo Diesel-powered Ram 2500 beats all other heavy duty trucks in its class with a towing capacity up to 17,980 lb (8,156 kg). A Class V receiver hitch with 18,000 lb (8,164 kg) capability and 4- and 7-pin trailer tow wiring connector come standard. Gross Combined Weight Rating is also Best-in-Class with a capacity of up to 25,300 lb (11,476 kg). If you want the most capable off-road full-size pickup in Canada there's only one choice: Ram 2500 Power Wagon®. This status is achieved by a manual part-time shift-on-the-fly transfer case, Tru-Lok® front and rear differentials, electronically disconnecting front sway bar and Bilstein® gas-charged monotube shocks. Fuel tank and transfer case skid plates, 33-inch all-terrain tires and a 12,000 lb (5,443 kg)-capacity WARN® winch also come standard. This capable and smooth-riding suspension comes standard on both 4x2 and 4x4 models. It's designed to deliver high Gross Vehicle Weight and Gross Combined Weight Ratings, along with proper roll stiffness without sacrificing ride and handling. This Segment-Exclusive rear suspension is standard on both 4x2 and 4x4 models, and offers improved capability, handling and ride quality in all conditions. It also provides excellent articulation over the kinds of obstacles this truck is built to tackle. The Segment-Exclusive Auto-Level Rear Air Suspension3 automatically detects a load on the rear suspension and increases the air pressure to level the truck. This improves stability and maintains a level relationship from the front of the vehicle all the way through to the trailer. Payload mode – Keeps a load level by automatically adjusting the height on both sides of the truck. Trailer Tow mode – Allows you to align the hitch and trailer tongue for a level relationship. An innovative front axle disconnect is available on 4x4 models for improved fuel efficiency. The front-drive axle is automatically disengaged when the 4x4 system is turned off to reduce load on the drivetrain. This helps lower fuel consumption and saves you money. The long list of innovative technologies and advanced safety features offered in the Ram 2500 are absolutely cutting edge. Enjoy music on the award-winning Uconnect® 8.4 multimedia centre with largest-in-class 8.4-inch touchscreen, control it all with voice command, work smarter with the Centre High-Mounted Stop Lamp Camera, and get peace of mind with the new Park-Sense® Front and Rear Park Assist. Get commercial-free music, sports coverage, exclusive entertainment, talk shows, lifestyle, how-to programming and world news with SiriusXM satellite radio. It’s available on all models and comes with a one-year subscription. Ergonomically located in the centre storage bin, this feature keeps you connected to your smartphone and other personal devices with an auxiliary input jack and USB port. There's even an SD card slot on models equipped with the Uconnect® 8.4 or 8.4 NAV multimedia centre. Get all your vital vehicle data like temperature settings, fuel economy, trip info, cruise control, trailer braking, vehicle status and engine performance all front and centre with this available and Class-Leading innovation. Parking is easy with the new Park-Sense® Front and Rear Park Assist system. Thanks to ultrasonic sensors in the front and rear bumpers, it provides a visible warning and an audible chime that increases in intensity as you get closer to an obstacle. It comes standard on Laramie, Laramie Longhorn and Laramie Limited. 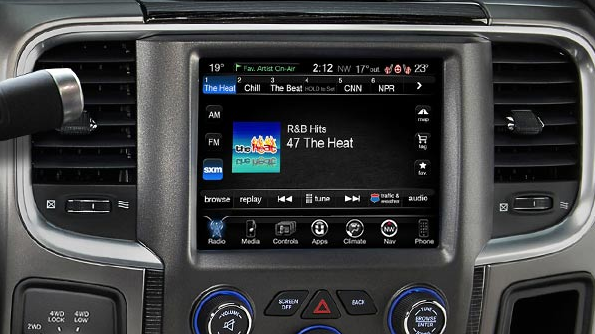 Hands-free communication with Bluetooth® streaming audio comes standard with Uconnect® 5.0, 8.4 and 8.4 NAV multimedia centres. It allows you to make/receive calls on your smartphone, enter destinations into the available navigation, change music and even send text messages with your voice. The full view of the available Centre High-Mounted Stop Lamp (CHMSL) Camera makes 5th-Wheel/Gooseneck hookups simple and lets you keep an eye on your cargo. The image out back is displayed on the touchscreen. If packaged with the ParkView® Rear Back-Up Camera, new functionality has been added for 2016 so you can now toggle between both views on the touchscreen. The ParkView® Rear Back-Up Camera displays a high-resolution image of what's behind you on the touchscreen display whenever Reverse is engaged. It also uses grid lines to help steer you into tight spots and makes trailer hookups easier. 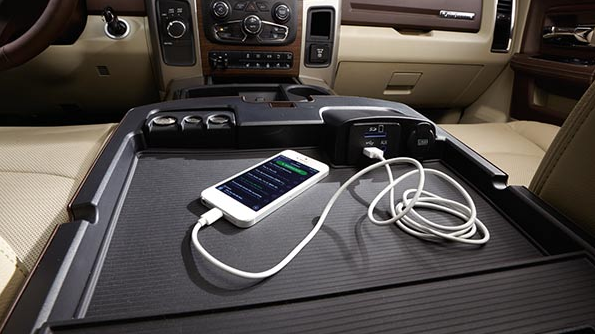 This available feature comes with a host of inputs and outputs to allow you to simply and securely connect any number of external features like snowplows and tow lights to the truck's electrical system. Take a look at the Ram 2500 today!